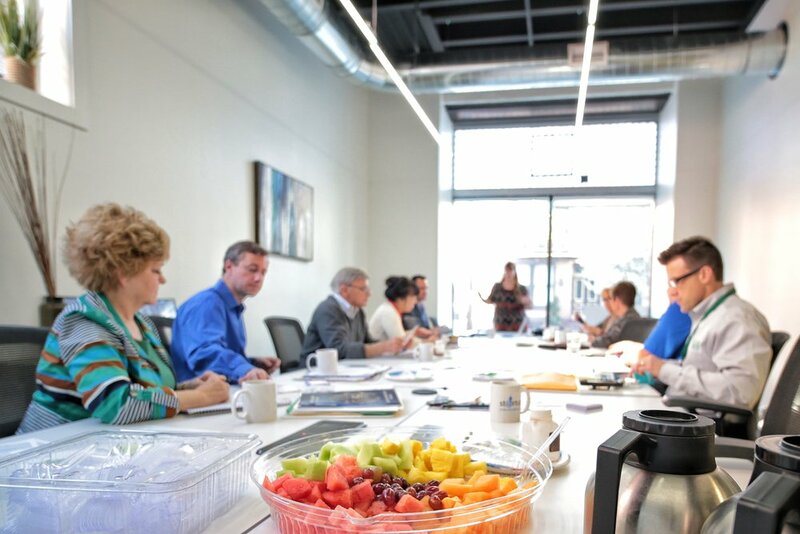 Our conference room seats up to 16-20 people, and comes equipped with Apple TV, Roku and video conferencing capabilities. This room is available to rent at the rate of $65/hr for non-members or $50/hr for non-profits, with a 2 hour minimum. Use of the conference room is included in monthly membership. Our small meeting rooms seat up to 4-6 people, and are rented per hour at the rate of $35/hr for non-members or $25/hr for non-profits. Meeting rooms are included in monthly memberships.